Challenge: to replace three aged Hitachi projectors with a state-of-the-art solution appropriate for a modern dance studio. 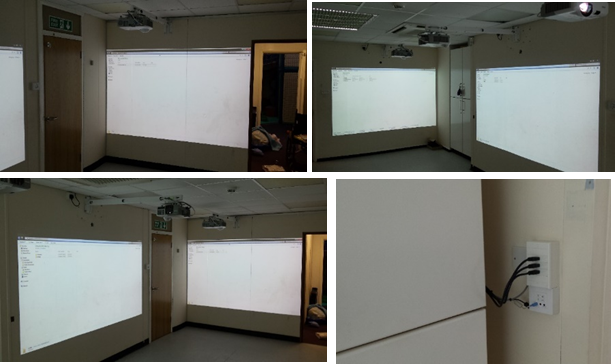 Nottinghamshire-based school came to us with the requirement of replacing three aged Hitachi projectors in their Dance Studio. What they required was three projectors capable of projecting near 3 metre images and displaying three different images from one PC.